Xtreme Diamond Sports hosted the NYBC Las Vegas Diamond Challenge Qualifier on Feb. 27-28 at several locations around the Vegas area. With NYBC bids on the line in 10U, 12U and 14U a few teams traveled from California and Utah to compete against some of Nevada’s best. Two California teams, Wilson MVP Elite and Lights Out/Patriots, met in the 12U final, and they did not disappoint their fans. The game was tight for all six innings, but MVP held on late to win 10-7. 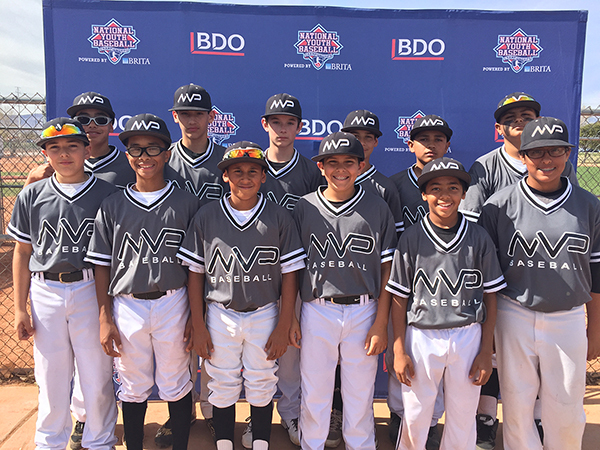 With the championship, Wilson MVP Elite moves on to New York where they finished runner-up as 11U in 2015. In 14U, LVR met their younger counterparts LVR 13U, playing up a division, for the title. Both teams showed their dominance over the weekend going undefeated into the championship game, but it was LVR taking the win over LVR 13U, 7-2. The Red Dragons outscored their opponents 37-4 en route to the 10U championship and an undefeated weekend. They defeated the Nevada Bucks in the final, 10-0. Xtreme Diamond Sports is set to host another NYBC Las Vegas Qualifier on April 16-17 along with a qualifier in Southern California that same weekend. Click HERE to learn more about the two upcoming qualifiers. Click HERE to see the full results from the NYBC Las Vegas Qualifier.